Westfire Inc. is an industry supplier of wood stair parts (rails, newel posts, balusters, etc.) and balustrade components for stair hand railings. 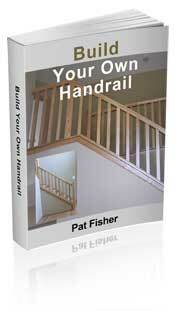 Westfire Stair Parts have a complete line of stair hand railing parts and staircase accessories available online. Westfire stair parts are available in Oak, Maple, Cherry, Hemlock, Poplar, and primed. They are also making available Brazilian Cherry (Jatoba), Beech, Birch, Alder, Soft Maple, Hickory, Walnut, Mahogany and pre-painted balusters (white or black) in many selections with an average two week from mill to ship time. At Westfire you can find all the answers to your staircase needs from a "hands-on" sales staff and other resources to help you with your stair hand railings. Westfire Stair Parts also offers you the industry's largest selection of forged iron stair parts. Westfire is essentially a one stop shop for all your hand railing parts.